Today didn’t go as I had planned. I had a strategy coming into the qualifications to start out my first run with my easier trick to see how it scored, because it usually scores well enough to put me into finals, then on the second run if I needed, I would go for my bigger trick to secure my spot. 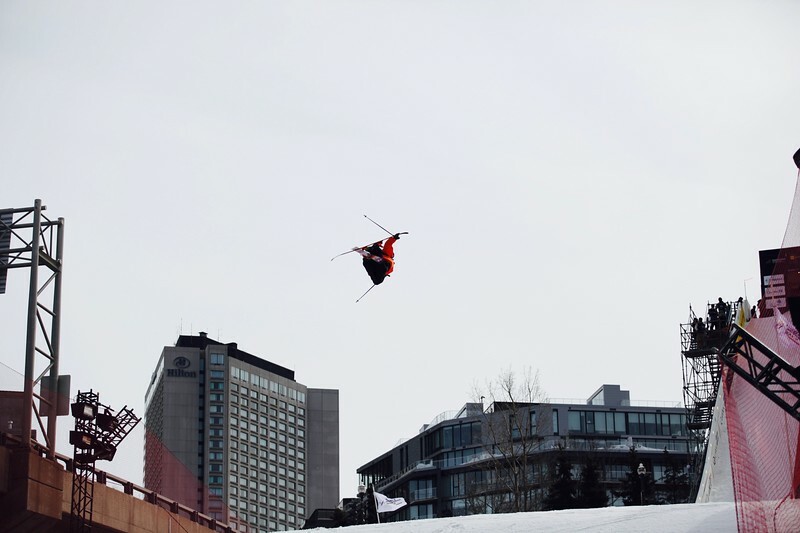 It was a 2 run format for qualies, which meant that the best single trick counted and 10 would move onto finals, which is pretty standard for big air. So I did what I wanted to do on my first run and my score came in at a 77.00 which was definitely not going to hold for finals. So on run 2 I knew I would have to go for my big trick, which I was hoping I wouldn’t have to use before finals. By the time my second run came around I was in 11th and 1 spot out of finals so I had this one shot to make it in. I went for my dub 16 and came around and landed it! I was pretty stoked, but I guess I must have let go of the grab to early or something because the judges scored me in the low 70’s, which put me out of finals. I was super bummed when the score came in, I was really frustrated and angry but it made me realize that next time I just need to go for it right off the bat! Here’s a few photos from today! I’m still super proud of the way my World Cup season went and I am happy to be healthy! Now I get to go back to my hometown and coach a ski camp with the kids on the last weekend that Silver Star Mountain is open! Stay tuned for some updates for the camp! !